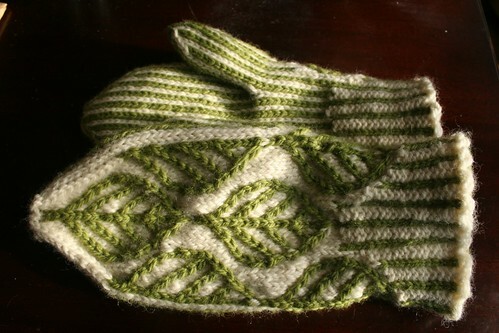 I knit my sister some mittens for Christmas. 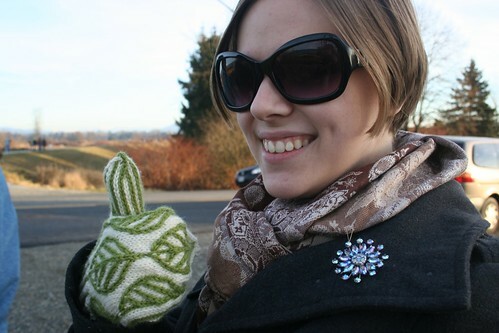 She’s the sort of person that squeals and gets spastically happy when you knit stuff for her. These have her seal of approval. After a few years of really lacklustre and depressing Christmases, this one has been really pleasant. Nothing exciting has happened. It’s been really quiet. I’m glad because I need the rest. This entry was posted on Saturday, December 26th, 2009 at 3:15 am and is filed under Uncategorized. You can follow any responses to this entry through the RSS 2.0 feed. You can leave a response, or trackback from your own site.